Legend has it that she started reading when she was just a week old and she has never been seen without a book since then. Here's a selection of the books that she printed herself. Click on each book for details (including information on where to buy from). Ramanujam annoys his teacher when he announces in class that his Mathematics notebook has been stolen from home. His teacher doesn't believe him. It's the truth, though. Of all things, why will anyone want to steal Ramanujam's Mathematics notebook? Fun new words and concepts too. That’s what is awaiting you! Children will enjoy building their vocabulary through a variety of thematically organized words with this colourful book that is perfect for the early English learner. Contributor(s): Karishma Mahbubani, Paul George Vedanayagam, A.U. Arjun and Neethi. Chomp! Chomp! Chomp! Little Billy Goat enters someone’s home and starts to chew everything in sight. He chews a shoe, a box, a toy, some socks . . . But when he chews an entire pack of bubble gum, he is in for a big surprise! Has your child read the entire series? Srinath, Suresh, and Harleen live at the Guild of Orphans. After a particularly bad scuffle, the children begin to feel the building of their Guild begin to rumble. They fall out the window to see their building, and others like it, walking away. To make matters worse, the moving giants have taken their friend Kishore captive. 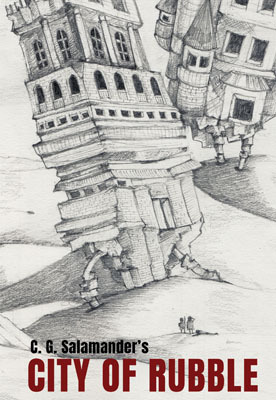 Following a trail strewn across the City of Rubble, the trio stumbles from one adventure to the next. The children encounter men with evil designs, an auto driver like no other, and a centuries-old source of power, as they quest to rescue their friend. Parvathy loves her mother. She listens to her grandfather. She likes going to school. She does everything right . . . except her Math homework. Parvathy struggles with it until she finds an unlikely companion: Kutti, her neighbour's retired police dog. With Kutti's help, Parvathy slowly learns that the best teachers can be there for you without saying a word. 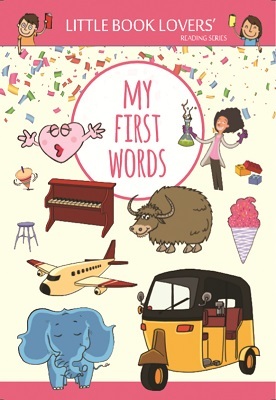 This gently told story by Sonali Shenoy, brilliantly illustrated by Tanvi Bhat, deals with the lasting power of friendship and its ability to turn a life around. Viji is a fearless tot who can’t sit still in one spot. She fidgets. She wriggles. And is in constant motion. Poor Viji! She doesn’t mean to be disruptive but her behaviour often annoys the people around her. Nothing seems to contain her boundless energy. Will Viji ever be accepted for who she is? With its lyrical text and playful pictures, Karishma and Suzzane have weaved a potent tale that is perfect for the emergent reader. It's Frank's first trip to the market and he is thrilled! He RUNS towards a sea of tomatoes. He HOPS towards a cart of potatoes. Finally he TURNS around to look at his mama. But, much to his dismay, she isn't there. 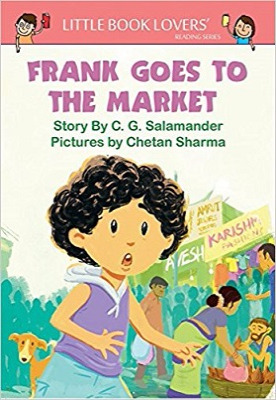 Watch a crowded market place come to life in this vibrant story as we follow the adventures of one unforgettable little boy. 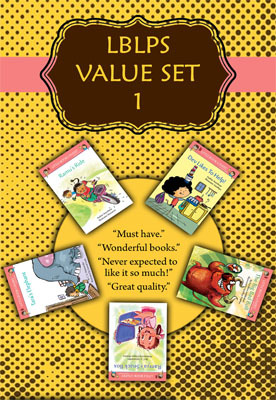 This value set includes 5 popular books from the Little Book Lovers' Reading Series. 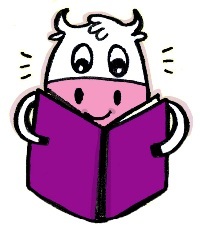 The books feature easy words that are set in a rhythm and written in rhyme which encourages little readers to read the text out loud. Leela's mother buys her a new umbrella for school. At lunch time, it goes missing. Nobody has taken it. No one sees or hears anything except for a gentle whoosh. Where does the umbrella go? 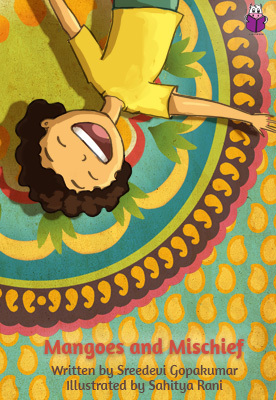 This fun-filled story, complete with beautiful water colour illustrations, brings alive an adventure in small-town India. Geeta Ramanujam grew up in the 1960s: a different time than today. India was still a very young country. It was a serious place, dealing with serious issues. Growing up in Bombay, such thoughts never crossed Geeta's mind. She was concerned only with play. And friends. And fun. And mischief. Designed as one part chapter book and one part comic book, Eeee... 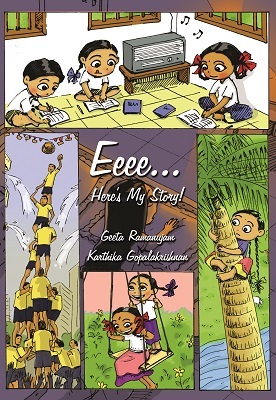 Here's My Story is perfect for children who love simple stories (like those of R K Narayan). It is also an absolutely perfect book for adults to talk to their children about times gone by. Geeta's life in this story is full of poverty, yet she never feels it and never lets the reader feel it. Instead you see little Geeta navigating life with joy. The book is full of colour and is a perfect book to just look at and wonder how the times have changed, and yet they have remained the same. Hop on the Reading Express! 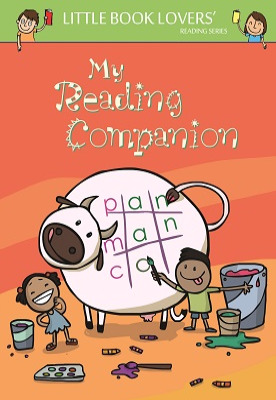 Begin your child’s reading journey with this companion reader to the Little Book Lovers’ Reading Program. 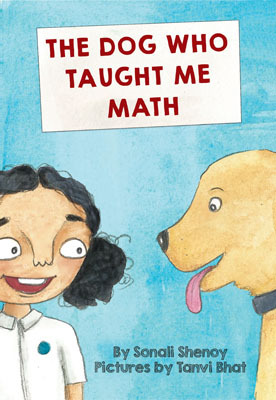 The book aims to equip your child with essential strategies while learning to read through systematic instruction, vibrant illustrations, flashcards, activities, stories, reading tips, reading tricks, and more. Turn to this resource all year long for engaging reading activities that reinforce basics skills while deepening comprehension and motivation via the introduction of relevant teaching methods. 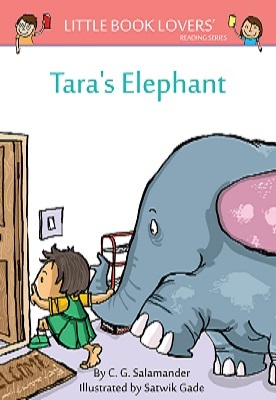 While Tara is at the city zoo she makes friends with a giant jumbo and comes up with an audacious idea! This vibrant tale of friendship and fun between a little girl and her elephant by Salamander and Gade is sure to capture the hearts of young readers. 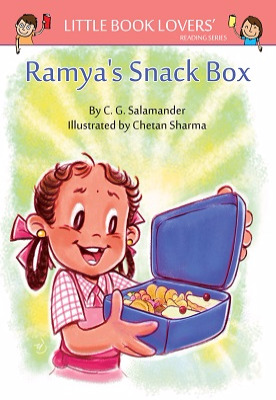 Ramya can’t wait to eat her extra special treats.She generously shares some of her snackboxes contents with Ram and sits to eat. The thing is - the rest of her classmates want a bite too. What will Ramya do? 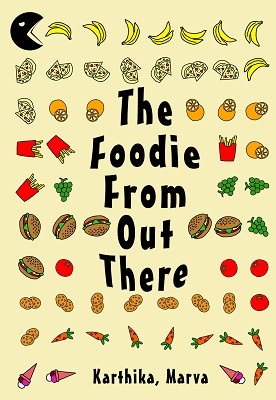 Packed with dollops of humour, the story focuses on the joys and pitfalls of sharing. 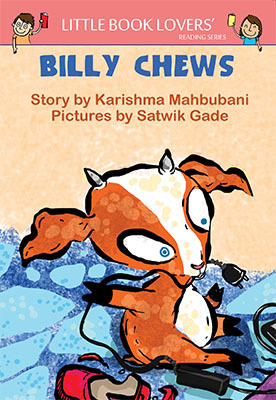 This warm tale written by Salamander and illustrated by award winning illustrator Chetan makes for a delicious read that will leave the reader wanting a second serve. He’s the biggest bull you’ve ever seen! Azgul the bull enjoys tormenting every creature he comes across on the farm. Even the farmer cannot stop him. Will one little bird be able to stand up to him? 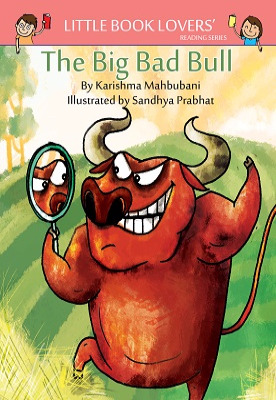 This entertaining story about courage and friendship created by Karishma and Sandhya will have readers rallying behind the little heroes as they work as a team to bring about the downfall of the villainous bull. Meet Sparky. Sparky loves to bark. a ball, a pig on a wall . . .
What is Sparky trying to say? 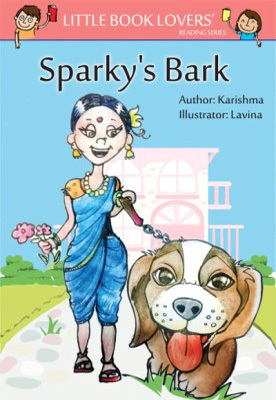 Sparky's Bark is a must-read for all children, especially for those who love dogs. 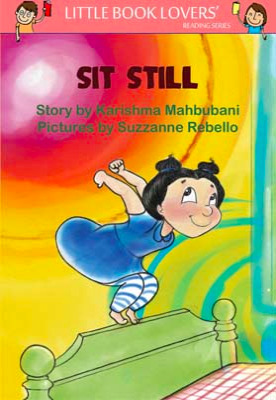 This book is written by Karishma, a storyteller, and illustrated by Lavina. It's time for school. Dress up! It's getting late. Hurry up! 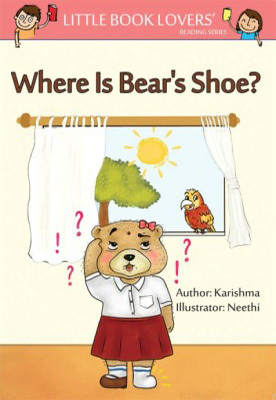 The author, Karishma, and the illustrator, Neethi, have created a charming tale about a fiesty bear cub. 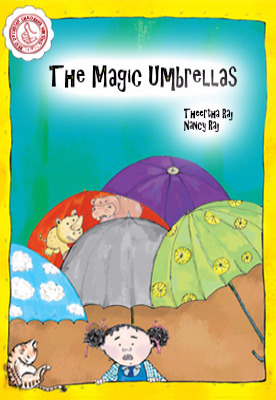 Lulu bear is sure to leave the readers cheering at her creativity. A little girl wants a wriggly, squiggly worm—a pet she can call Perm. Will Amma let her have one? 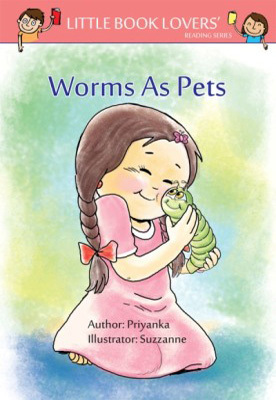 Storyteller Priyanka and illustrator Suzzanne tell a merry tale of a little worm lover, her worm-phobic Amma, and an adorable creepy-crawly. It is sure to leave the readers yearning for a pet worm of their own. The kitchen is in a mess! Things are on the floor. 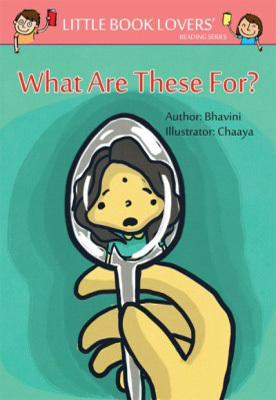 This charming tale by Bhavini and Chaaya showcases an innovative blend of learning and laughter. The vibrant illustrations and visual clues make this book a winner for members of the learning-to-read set. Poor Dev! He means to be of help. Unfortunately, things never go as planned. 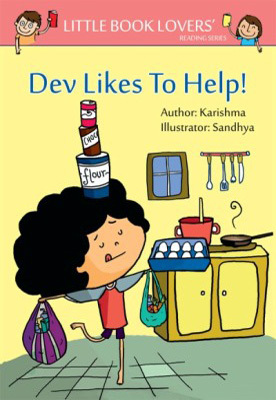 Created by author Karishma and illustrator Sandhya, this whimsical tale about Dev's merry mishaps is sure to tickle the reader's funny bone. It is New Year's Eve. Sana must take care of her little sister, Moti. Is she up to the task? 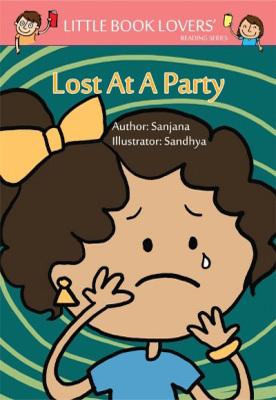 Join Sana on her quest in this adorable lost-and-found tale written by Sanjana and illustrated by Sandhya. It is going to be a bumpy ride . . .
Ramu wants nothing more than to ride a bike. When Sara offers to take him on her cycle he is overjoyed. But the bike won’t stop! 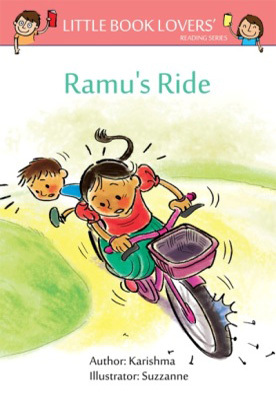 Hop on for an action packed ride with Ramu, Sara and a host of entertaining characters in this hilarious read aloud romp created by Karishma and Suzzane. Meet Aditi. She is six years old. At her age, most girls are short and sweet. Aditi is more than that. She is independent, self-confident, and brave. She is a go-getter. Aditi's best friend Anjali has recently gotten a younger brother. Anjali can't stop talking about him. Aditi is jealous. She wants a younger sibling too! Aditi asks her parents for a younger brother but Aditi's father sets a challenge for her to "earn it". Will she be able to rise to the occasion? 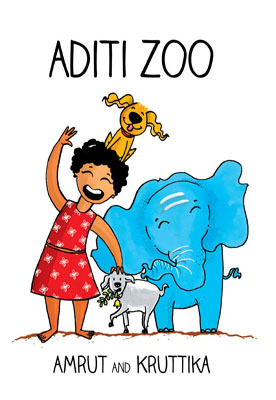 Storyteller Amrut and illustrator Kruttika narrate the amazing story of how Aditi becomes Aditi Zoo. 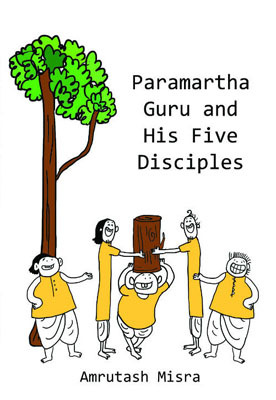 This story was narrated to 1000s of children in schools before being published as a book. Paramartha Guru was not very smart. He had five disciples - Fool, Dodo, Clown, Madman, and DB (short for Donkey-Brained). Together they were incapable of passing even a single day without doing something extremely foolish. Their adventures makes for hilarious reading. These folk tales were first written in the eighteenth century by Father Beschi, an Italian Jesuit priest who found his way to Tamil Nadu in South India. Locally known as Viramamooni, he wrote extensively in Tamil. This version is not the same as the original. It is a re-written version. It avoids religious biases and caste references present in the original. This version is in English and uses modern sensibilities. Too Cool for School is a collection of short stories about friendship, pranks, dares, and classroom antics. 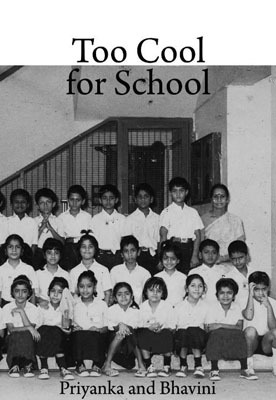 These are vignettes of student life from schools around India. The authors, who are all a part of the Book Lovers’ Program for Schools—a travelling storytelling company— have either witnessed these tales first-hand, drawn on their own memories, or arrived at a mix of the two. Storytellers from the BLPS team have visited schools across south India. The stories reflect the flavours of India in their language and setting. In “All Because Of Superman”, Shreya hopes that someone will look beyond the way she is dressed and see her as a friend. “Nithya Ma’am is Coming” shows a classroom argument that threatens to escalate into a fight just as Nithya Ma’am, the terrifying Maths teacher, is about to make her way to the class. “The Flying Monkey” is a humorous take on a modern-day ‘Surpanakha’ while “The Outstanders” sees two girls forge a friendship when they are forced to stand outside their classes as punishment. In “A Game of Cat and Mouse”, Mrs. Bhagirathy’s small class puts up a play that will unintentionally make history. The stories are laced with tenderness, some wisdom, a touch of madness, and laugh-out-loud humour. Along with giving you a window into school life in India, Too Cool for School is bound to entertain, bring a smile to your face, and lift your spirits. Murderous spirits, chopped fingers, a teacher with a terrifying secret, a deadly shadowy mist in a room, a mysterious wall, a chain email's evil powers, and a little boy talking to his dead grandmother are a few of the creepy, bone-chilling stories in this collection. The authors, who are all a part of the Book Lovers’ Program for Schools—a travelling storytelling company— have written the stories based on their observations of children's fondness for spooky stories. Storytellers from the BLPS team have visited schools across south India. The stories reflect the flavours of India in their language and setting. If you don't believe in ghosts, think again. Read this collection late at night, tucked under your blanket with only a torch to light the pages. Be warned. 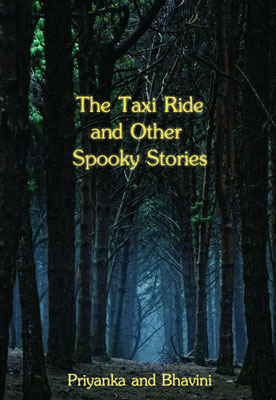 These stories are not for the faint-hearted. 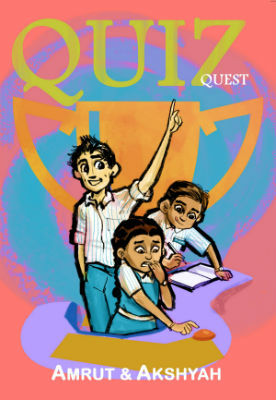 Nikhil, Pramod, Ananya, and Vishnu are the best quizzers in the quiz club. If they work hard, then their school - Sequoia High School - has a shot at glory. They can win the prestigious National Quiz Challenge. But, Nikhil and Pramod are "frenemies". The competition ignites their rivalry. To win the competition, they will have to overcome their differences and rediscover themselves. Will they rise to the challenge? Also, who is the new teacher and what is he hiding? 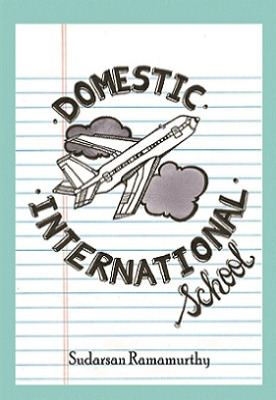 Buckle up and journey along with the students of classroom MS 274 at the Domestic International School. This school has classrooms that look like the inside of an aeroplane, a PT master who likes to sing, a principal who sits at the top of a tower, and even the occasional plane making an emergency landing. What happens when all this comes together? Dive into the book and read all about it. Have fun! Everything looks the same, except for a tree with the marking "L < 3A" on its trunk. Would you guess that this was the site of an alien landing a few hours ago? There are strangers in our midst. Why are they here? What do they want? How far will they go to get it? Pack your bags. You're coming with us. Leave your phone behind. Remember to bring your camera. We may spot some wild animals. Or we'll go on a trek. Either way there'll be a lot of walking. Maybe we'll head to a beach instead. We'll play in the water and lie on the sand. Here's your ticket. 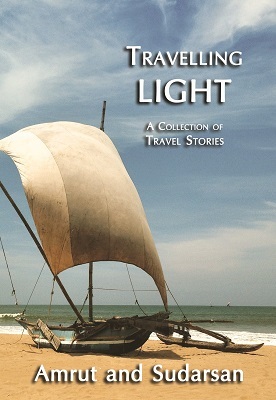 Travelling Light is a series of short stories. It chronicles five incredible journeys. 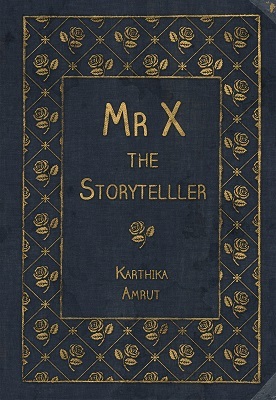 Mr X has to tell a story. A good story. Great, even. Otherwise Maya won't let him into her life. Is it too late for him to start now? There was only upma for breakfast. Anu doesn't want to eat, but Amma is waiting for her to finish breakfast. Anu wonders what to do, when a cow appears, all of a sudden! 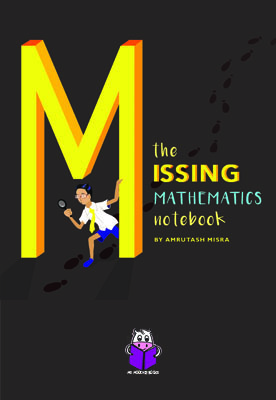 Read this quirky tale to see the cow pop up throughout Anu's day in the most unlikely situations, including her Maths class! 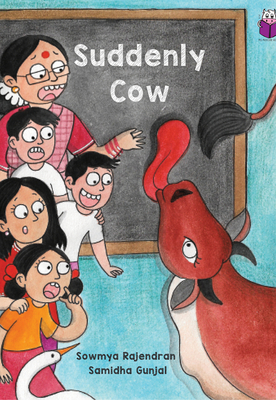 Award-winning author Sowmya Rajendran brings the story alive with rib-tickling humour, complemented by artist Samidha Gunjal's vibrant illustrations. Wow! Jay has gotten a new bed. But is he ready to sleep alone? Jay feels Ma has stopped loving him. Why else would she make him sleep in his own bed? Will Ma be able to reassure Jay? 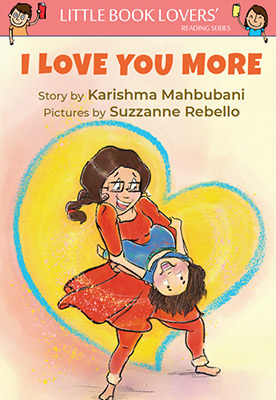 Drawing upon their own experiences, the author and illustrator have created a heartfelt tale about a young child who is about to face a major change. The rhyming story tenderly explores the theme and is a good choice for any parent looking to reinforce her love for an insecure child.